On May 31st, 47 Master’s students presented their research projects in the specialization seminars Strategic Communication in Organisations (SCiO) and Strategic Communication of Organisations (SCoO) at the 14th Amsterdam Corporate Communication Symposium. The program was kicked off by keynote speaker Salomé Galjaard, who works as a product and interaction designer at the Amsterdam office of Arup. Arup is one of the world’s leading companies in the building sector and has a track record in innovative engineering. Innovation in organisations resembled the overarching topic of this semesters research projects in SCiO. Galjaard addressed in her speech the role of innovation in her job and emphasized on the importance of communication within it. Afterwards, the groups presented in a one minute “elevator pitch” their findings on posters. Over the course of the seminar, the students conducted a survey with communication professionals to measure the impact of factors like creativity, leadership or knowledge sharing on innovation in organisations. After a lunch break, the Symposium proceeded with the presentation of the research projects of the course of Strategic Communication of Organisations. Here, the students conducted content analyses in the areas of crisis communication, corporate branding and CSR communication. Between the presentations, a second keynote speaker, Joost van Doesburg, manager of public affairs of the Dutch Airline Pilot Association, gave us an honest insight into his day to day practices as a lobbyist. 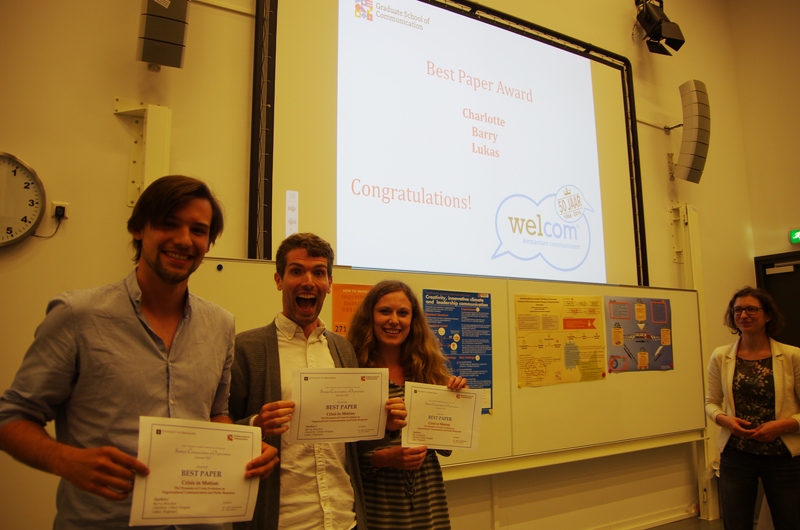 At the end of the presentations, the groups for the best SCiO Poster and SCoO Paper were awarded with a one year membership of Welcom, a network of Amsterdam based communication professionals. 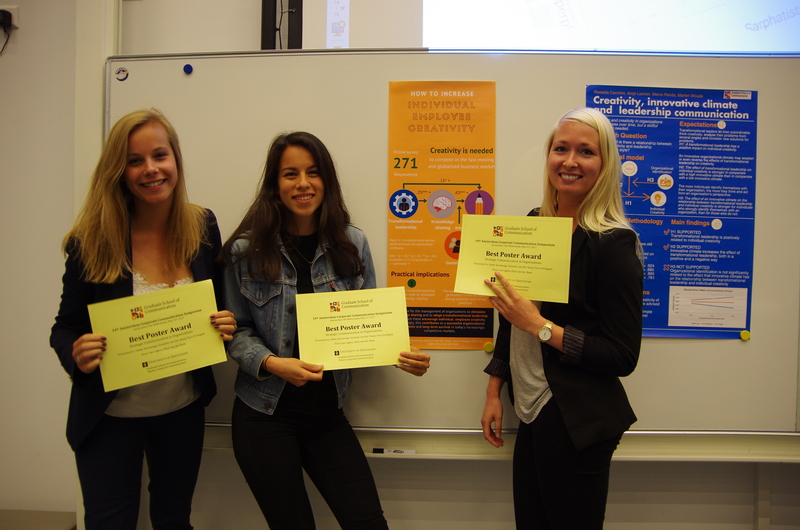 Eliza van der Beek, Idske Douwenga, Suzanne van der Staaij, Floor van Ligten and Yara Vertegaal won the award for the best poster with thetopic: The effect of transformational leadership on individual employee creativity: the role of knowledge sharing and generation Y. The award for the best SCoO Paper went to Barry Bracken, Charlotte Schulz-Knappe and Lukas Wegenast for their study Crisis in Motion: The Dynamics of Crisis Evolution on Organisational Communication and Public Response. 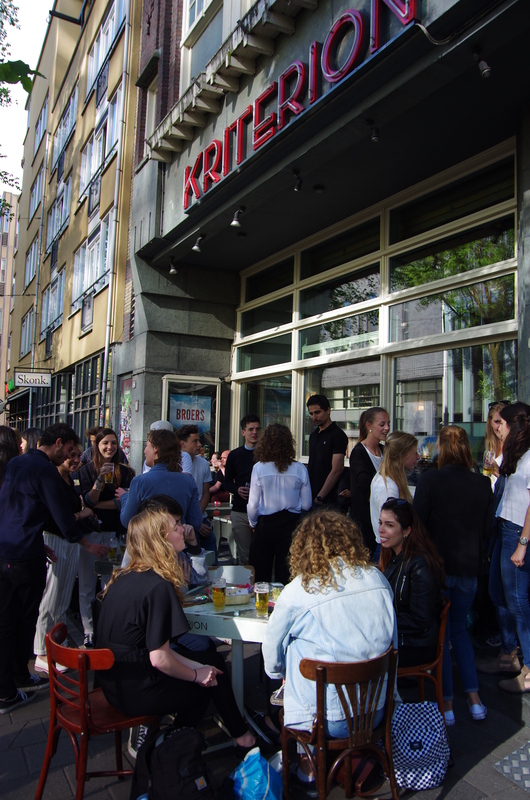 After the official part was over, both students and lecturers got together at Kriterion for drinks to celebrate the end of 16 intense and work-filled weeks.